Quality content has become an integral part of ecommerce in recent years. Indeed, cool content is a great way to engage with your audience and drive repeat visits to your site. But in these modern times, when we think about content we’re usually picturing blogs or maybe an interesting social media account. But these ideas can trap us into one way of thinking. And frankly, they’re not that interesting anymore. By stepping outside of the box and creating new and interesting content we can make ourselves stand out. This helps your brand pull ahead of the competition, while making sure your customers are aware of any new offerings and promotions you may have. One of the most sure-fire ways to drum up business is through cross promotion. By reviewing content that is complementary to what you offer, you can encourage sales of your own products. For example, if you sell custom laptop cases, you could review new laptops. If you drive anyone to purchase a new laptop then they’re going to need a new case. If your review led them there, your site will probably be the first place they think of. A prime example of this is cooking blogs. Look at FeastingAtHome.com, which builds product recommendations like a metal spatula or truffle oil into its recipes. It’s a convenient way to hook your customers up with other products while maintaining brand loyalty. While reviewing products that you don’t offer yourself could lead to unnecessary page bounces, providing complementary products will help keep customers on your site and drive conversions. Even giants like Amazon use this feature. When you buy something, they’ll show items that other customers bought alongside their purchase. This helps increase sales and provides a helpful service. Studies show that visual learning is superior to nearly every other form of learning. So why not try and integrate that into your marketing content? 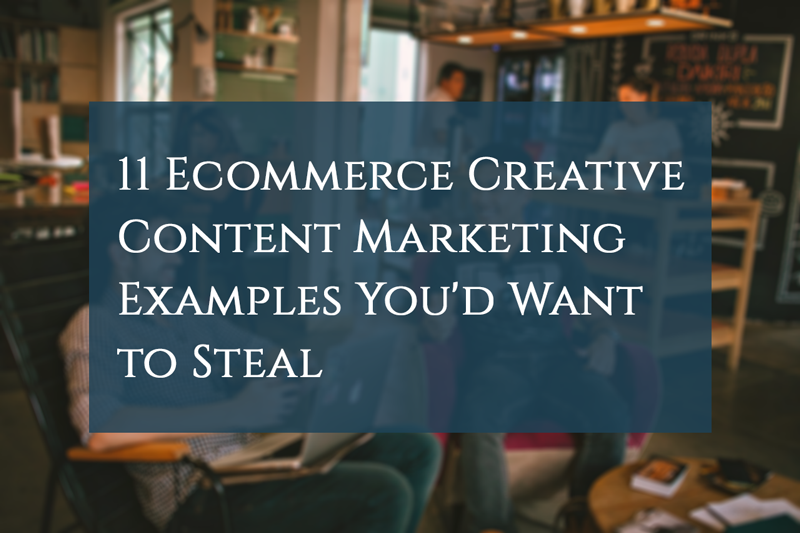 Blogs are an important part of an ecommerce arsenal, but bolstering them with strong visuals will help increase the probability your content is shared. Take The Beauty Department for example. Their highly successful blog makes strong use of visuals to draw in readers and help keep them engaged. Promoting user-generated content is a great way to engage with your audience. Companies like Target and GoPro have both figured this out. Target uses information about the most popular items their customers post to their Instagram story. This allows visitors to see what other people are buying and enjoying at any given moment. GoPro, meanwhile, encourages its customers to upload their coolest videos to YouTube and shares them with the world. 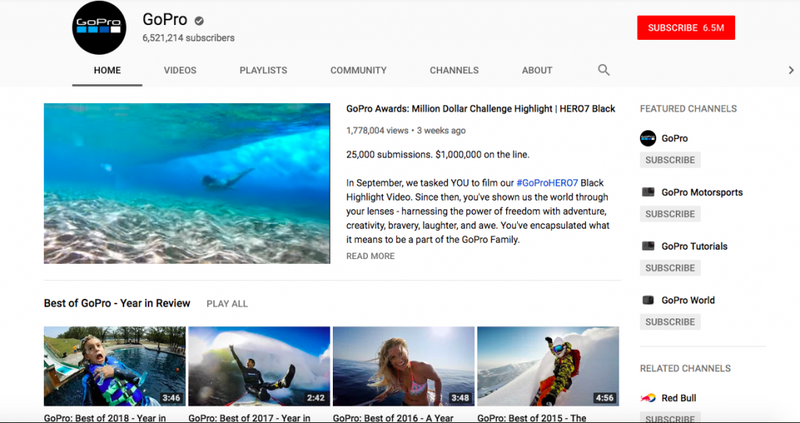 By republishing their users content to the official GoPro YouTube channel and their website, customers are encouraged to use the product and show the rest of the world how cool it is. Big companies like Best Buy have locked into this idea, offering customers the opportunity to learn how to use their products before clicking the “Buy” button. They even offer program instructions for aspiring programmers. Another way to take advantage of this is by reimagining your product. Many products have more than one use. Sharing DIY tutorials on ways to take advantage of these can provide customers with another reason to want what you’re selling. This also helps generate ecommerce content for a long time to come. Similarly, many ecommerce sites sell products that could be associated with a lifestyle. Camping, fashion, and technology can all be associated with a way of life. Providing visitors with information on how to best utilize these products can be incredibly helpful. The key here is integrating it into the shopping experience. It can also help with repeat visits if you become a trusted expert on the subject. Recreational Equipment Inc. is a great example of how this can be used effectively. They offer expert advice on how to use their various outdoor products, which helps promote their merchandise while building brand loyalty. 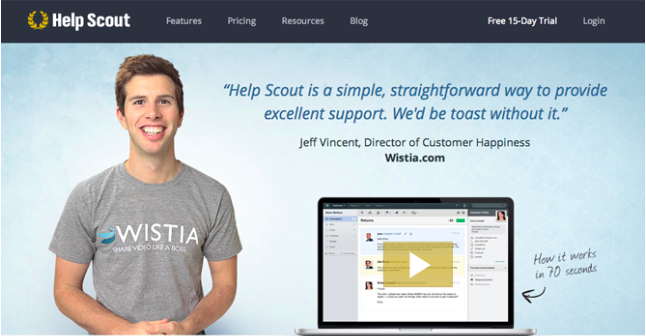 Testimonials are a great way to show how trustworthy and reliable your products are. If you gather testimonials and reviews from happy customers you can use them in a variety of ways throughout your marketing campaigns. These become especially useful when combined, if you provide them with the Number 3 solution and are able to pair the testimonials with strong visuals. Coupons and discounts are a fantastic way to create customer loyalty. The ecommerce model makes coupons an even more powerful tool, given that they’re much easier to deliver and even easier to redeem. Look at DesignAShirt, which shows that coupons can be offered alongside product purchases to encourage repeat visitors. Or wrap them with offers to receive newsletters and other useful content in order to stay present in the minds of your customers. You can also offer discounts to people who abandoned their shopping cart before payment, thus coaxing back customers. The main difference between the two is that contests are judged, but giveaways use chance. Tools like ShortStack make it easy to create and manage contests. The events can also be promoted on Facebook, Instagram, and other social networks to help build an audience. Indeed, contests are known to bring in leads, make people share your content, and bring an element of fun to your marketing campaigns. For a prime example, check out Structure, which held a recent contest to design an iPhone case. The winner received a hefty store credit while the company received a new product to sell, and a lot of publicity. Another popular way to engage your audience and infuse an element of fun into your promotions is to create quizzes. Whether you’re figuring out which Hogwarts House you belong to, or you’re learning where you fall on the Myers–Briggs Type Indicator, everyone has taken a Facebook quiz at some point in their lives. Sites like iHeartDogs.com have woven quizzes into the foundation of their site. These are both fun and encourage people to think about their animal companions in a new light. They also help drive conversions. FAQs and User Comments are another way to engage your audience. By highlighting a particularly interesting question every week, you can drive traffic around your website. It also inspires customers to comment and ask questions. If you have the quality products to back these up, then it’s a fantastic way to drive up sales. Look at Care.com, which every week posts a new question to its Facebook page. This generates user engagement and encourages repeat visits by highlighting cool questions and sharing them with their audience. Again, these are just a handful of ideas that you may want to utilize for your business. The type of content you produce will be strongly linked to the products you offer. Marketing through content creation is a great way to drive traffic to your store. It happens to most of us when we’re not even paying attention. We find a cool link, engage with the content, and are attracted to a product. One of the greatest things about modern e-marketing is that entrepreneurs can measure and observe how people interact with different campaigns – be it the format, channel, or type of content – and adjust your efforts according to their success. Cool content is an integral part of eCommerce, but is largely useless without strong analytics tools to pour over the data and make sure your efforts aren’t in vain. It’s also important to note that good content should be fun. You should enjoy creating it. By doing so, you’ll ensure that your readers, viewers, or contestants are having fun as well.